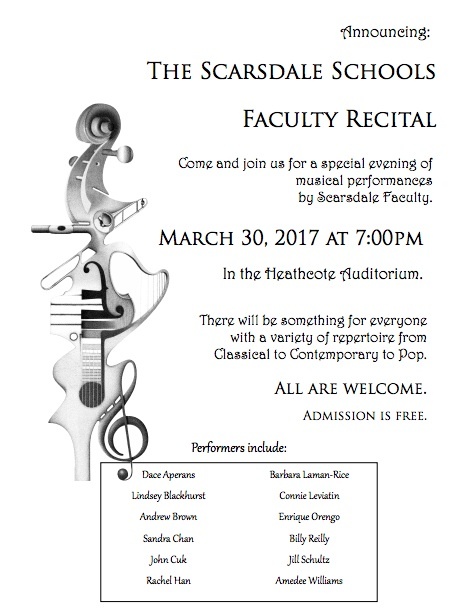 Friends of Music and Art of the Scarsdale Schools: Faculty Recital - March 30th at Heathcote Auditorium. Join Us! Faculty Recital - March 30th at Heathcote Auditorium. Join Us!